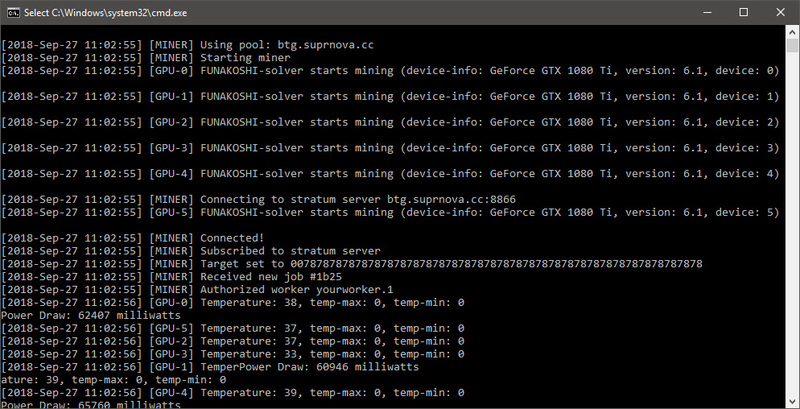 Funakoshi’s Equihash 144,5 CUDA miner is arguably the fastest Equihash 144,5 Nvidia GPU miner available at the moment for both Linux and Windows users with the software constantly being developed and improved as you can see from the short timespan between the new version updates. The latest version 4.10 once again bumps up the hashrate you get mining Equihash 144,5 crypto coins such as Bitcoin Gold (BTG) that uses that particular variation of Equihash. This miner does not seem to be getting that much attention like other Equihash GPU miners, but that doesn’t mean that it does not outperform them, it is just that the software is focused on a single algorithm only while other alternatives usually support multiple algorithms. 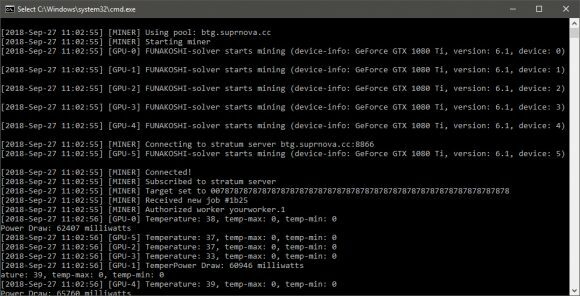 Funakoshi’s miner is a closed source one and comes as pre-compiled binaries for Windows and Linux with a built-in developer fee of 1.5%.